A refreshing, unfiltered wheat beer. Blue Moon is a refreshing, unfiltered wheat beer with a unique and complex taste and an uncommonly smooth finish. 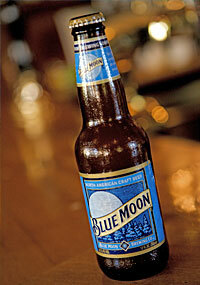 Created in Denver, Colorado, Blue Moon is brewed using traditional methods. 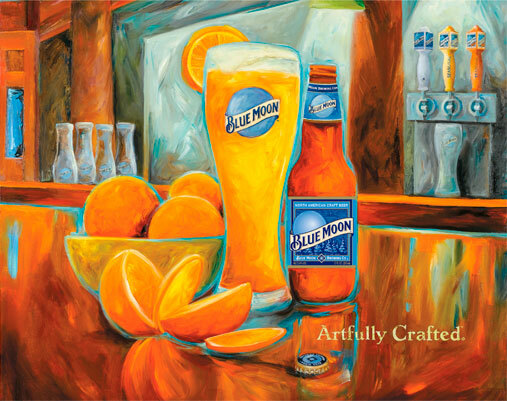 The unique combination of Valencia orange peel and subtle coriander together with the marmalade aromas make Blue Moon a special beer that you all must taste. 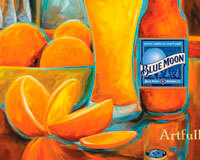 Blue Moon is always served in its glass with a slice of orange.